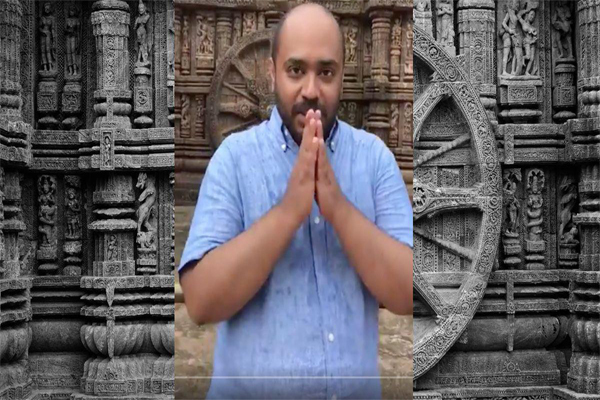 Delhi-based Journalist Abhijit Iyer Mitra held for snide remarks against Konark Temple and Odisha’s art & culture has been granted bail today. The Odisha High Court dropped all charges against Mitra. But the Odisha High Court has ruled the lower court can put conditions while granting bail to Mitra. Mitra who was lodged in Jharpada jail, Bhubaneswar from October 23 this year tendered an unconditional apology to the Odisha Assembly. Mitra being in jail wrote to Chief Minister, Naveen Patnaik and Chief Secretary, Aditya Prasad Padhi on November 20 to grant apology to him. He also requested the Odisha CM to withdraw the prosecution charges and all other charges slapped against him. An FIR was lodged on Mitra at Shaheed Nagar police station, Bhubaneswar and Konark Police station, Puri for his defamatory comments. He had posted a video following his visit to Konark temple on his twitter handler on October 23.